Are you heading for the magical high mountains of the Himalayas? The mountain range spanning India, Pakistan, Afghanistan, China, Bhutan and Nepal is one of the wonders of the world, and an incredible place to go trekking. I spent the summer in a high-altitude base camp in the Indian Himalayas, on expedition with the British Exploring Society. Here’s my trekking packing guide to everything you need for your own hiking adventure, to stay warm, dry and safe. The Himalayas, home to the world’s highest mountaisn, are an amazingly alien place. Being this high in rock and ice feels a little like being on the moon, and surviving at high altitudes takes a lot more planning than a quick jaunt to the Alps, especially because you will be far from any outdoor stores. Plan carefully, buy good-quality gear and make sure that your boots, sleeping bag, insulating layer and waterproof layers in particular are sturdy and tough. 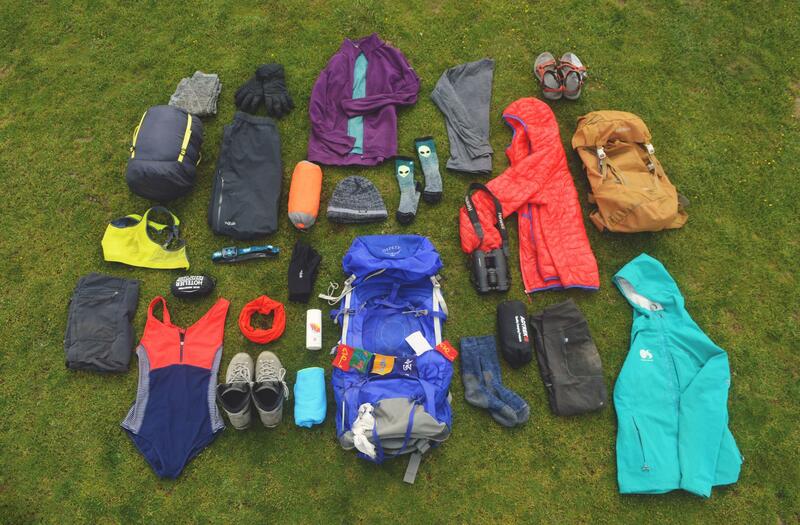 Here’s exactly what I packed for five weeks in the Indian Himalayas (don’t forget toiletries and medicines, too). In India I lived in two or three pairs of leggings (they didn’t smell good by the end). I prefer them to trekking trousers as they’re super versatile and personally I don’t like wearing thick, wide-cut outdoor trousers. Light leggings work well around camp and for short hikes, and it’s easy to pop waterproofs over them. I get mine from Decathlon, as they have a wide range of thicknesses and price points. For freezing mornings and high-altitude hikes. I just packed my ski gloves, as they are warm and waterproof – find similar at Mountain Warehouse for £11.99. A cosy fleece is an easy, comforting mid layer to pop on around camp, or under your down jacket if it’s really cold. I even slept in mine on really cold nights. Mine is a zipped fleece from Regatta, £26.20. It may sound like something your granny would advise but it really is worth investing in a great set of thermals for cold weather, and I live in baselayer tops and leggings when I’m camping. I took a Decathlon Merino layer, £19.99 (merino is naturally antibacterial, soft and cosy, and worth investing in), and my much-loved Odlo Blackcomb base layer, £60 (pricey but probably the best baselayer I’ve ever tried). For river crossings, washing and wearing around camp. Pick something sturdy, with rubber soles and straps around your heels. I swear by Teva’s sports sandals, £70. If you splash out on one bit of great gear for the Himalayas, make it a really good sleeping bag. Look for the temperature it can keep you comfortable at and go for something that can deal with -10 for the Himalayas. The OEX Leviathan EV 900 (£199) kept me deliciously cosy even on freezing nights as it can go to -16c in comfort, and made going to sleep something to look forward to. Pop fully waterproof bottoms over your leggings for rainy days. Rab’s Downpour pants, £63, are reliable in a storm. Mine is a sturdy and reasonably cheap one from Mountain Warehouse. Inflatable mats need to be good quality for the Himalayas, as you’ll be sleeping on rocky ground. Keep body heat in and hide the fact that you haven’t washed your hair in a month with a warm hat. 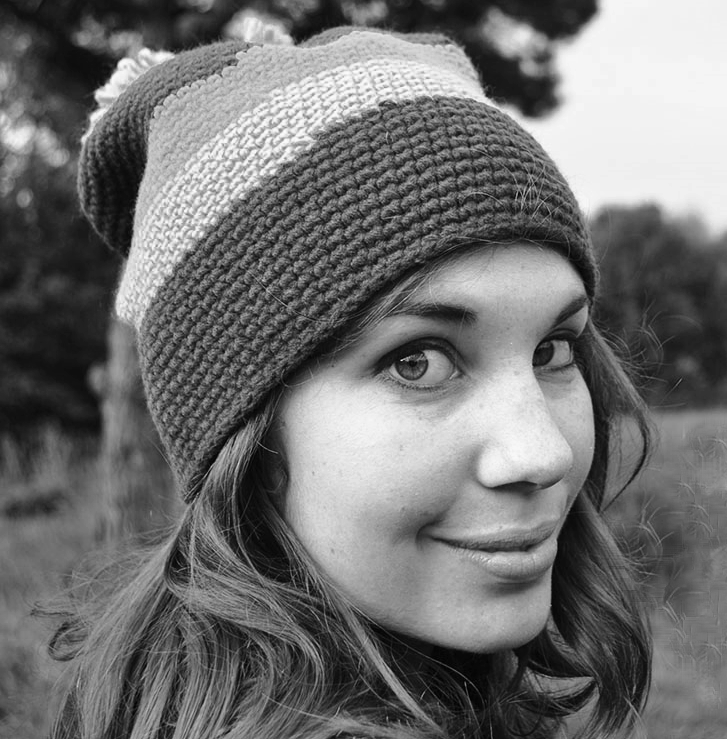 They needn’t be expensive – this cheapie thermal hat, £2.99 did me proud in India. Comfortable hiking-specific socks will stop blisters and keep toes toasty. Look for warm wool or merino with reinforced heels. My favourites are Stance socks and Smartwool socks. A good down jacket is totally worth investing in. Pick one of my 11 best insulated jackets, reviewed for The Independent. I took my expensive but brilliant Patagonia Mico Light jacket, £250, which uses synthetic insulation (more ethical than down) to keep body heat in. Totally worth the spend, as I wore mine daily in the mountains. 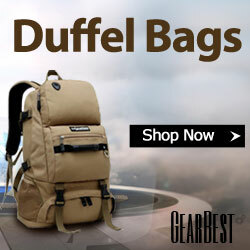 Pack a smaller backpack as well as your big trekking rucksack for day hikes and city exploring. My Tatonka rucksack is a big favourite when I’m travelling, as it’s roomy, comfortable and comes with a good rain cover. Keep your tatas in check with a sports bra – much more comfortable on long hikes than a regular bra. Shock Absorber bras are excellent if you’re moving about all day. For midnight stargazing (the night sky is amazingly clear in the Himalayas), making dinner on the stove and sorting your tent out at bedtime. I always buy Petzl Tikkinas (around £20) – they’re light, bright and comfortable. Wear alone on warmer days or under ski gloves when it’s freezing. Mine are Rab Flux liner gloves (£17). Gloves with touchscreen-compatible fingertips are useful too. Fancy sleeping out under the stars whilst in the mountains? Pack a lightweight bivi bag like this Hunka, £47. You can also pick up cheap ones in army surplus stores. As well as basic leggings I always pack proper hiking-specific leggings for trekking, and my absolute favourites are my Fjallraven Abisko tights, £119. They are proper expensive but they offer such great quality and fit. 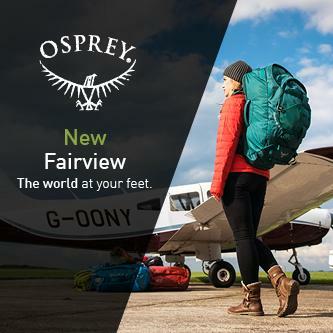 Comfortable, warm and breathable, with tough knees and bum pads for camping and outdoor life. Worth the spend. An extremely important bit of kit for mountain wear, along with your down jacket, bots and sleeping bag. I struggle to find good, fully waterproof and well-fitting jackets, and often wear men’s jackets. This year I took my Ordnance Survey Champion jacket, which is a Craghoppers design, and it was excellent – find similar here. On warmer travelling days light, quick-drying trekking shorts will keep you cool. I wore Regatta shorts, which are easy to wear, crease-free and quick to dry, making them great for hiking or wandering around Himalayan towns. A light liner adds warmth in your sleeping bag, and is useful in grotty hostels. 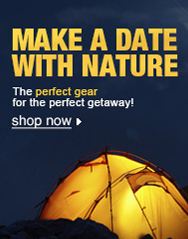 There’s no need to spend loads – Cotswold Outdoors stock good ones from £15. Buff scarves are an extremely versatile bit of hiking kit – wear round your neck, as a muffler or as a hairband on hikes. From around £16. It’s a fact that your skin burns faster at altitude, so good-quality sunblock is a must. I rate P20, £25 – it’s expensive and feels odd to apply as it’s a thin yellowish liquid but man, does it work, and you don’t need loads to create a protective layer that lasts all day. Mainly for having a wash in ice-cold glacial rivers. I like my sporty suit from Finisterre, which offers good coverage. Their latest swimsuits are made from recycled fishing nets for extra eco points. Your trusty hiking boots may do you for hiking in some parts of the Himalayas, but if you’re going to wear crampons on ice, as I did, check your boots are crampon-compatible – if not, you’re going to need proper mountaineering boots. I tried a few pairs out (one pair made my big toenails fall off – not fun) before finding Scarpa Manta boots (new around £320, but I got mine secondhand for £120). They fit me perfectly and can take crampons without a fuss but are still light and flexible enough to wear on general hikes an around camp. An extremely useful bit of kit, micro towels are absorbent but fold up tiny for travel and are good chucked in your rucksack for impromptu wild swims. They need regular washing, though. Dock and Bay make really swish ones, £18. It’s nice to know that sensibly priced gear is still capable of performing in extreme environments.